Finally moved from Ambergris Cay. 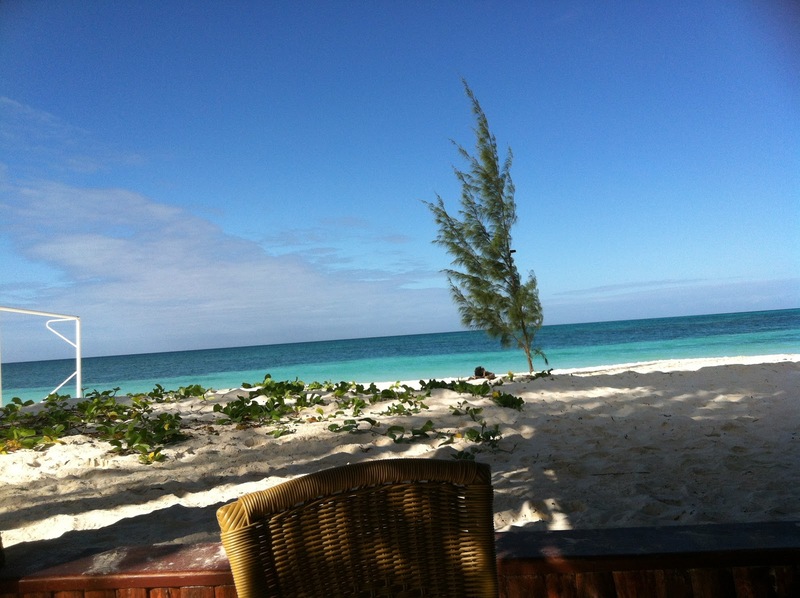 Have been at Cay Caulker for three days and very different from Ambergris. The motto here is Go Slo. Sand streets and lots of back packers. I find it a comfortable place to stay for a short while. We are anchored to the West of the Cay in flat water. The trades are blowing so lots of free air con. I normally do not hire boats to go diving or snorkeling, but as you cannot take a private vessel to the Hoh Chan Reserve we went with a local company. Sure glad I did as the reserve was the best snorkeling I can remember. The only downside is the lcd screen on my Olympus camera stopped working after taking some underwater videos. I was just bragging the durability the other day. Supposed to be good to 10 meters …oh well. The snorkeling here is as good as I have seen. Lazy Lizard at the North end of town. Great place to sit and watch the back packers sun bake. The plan is to head for the Turneffe Atoll tomorrow but we will see how the weather is shaping up. Finally left Isla and heading for Belize. The weather has not been cooperating. 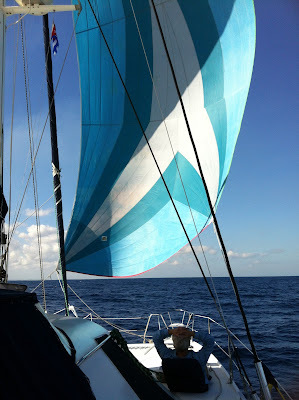 Plan was to sail to Cozumel, an island off the Yucatan, but the current was an adverse 5 knots so we were struggling with about 3.5-4 over ground. Checked the charts and Peurto Moralos was about 10 miles due West so we made the move. Nice anchorage well within a fringing reef. We left the next day for Cozumel and arrived about 1300. Needed to stop here so we could clear out of Mexico and get our Zarpe. Cozumel had four cruise ships there when we pulled in and more on the way! Next morning we traveled around town looking for some electrical parts. The switch for the propane solenoid on the fritz. The waterfront is a mad house with diamond shops and other cruise ship stores of no real interest to a cruiser. We wandered the back blocks and found a great local shop with cold beer and great tacos. After four hours doing the paperwork dance we were cleared out of Mexico. We sailed early the next day and arrived at the Chinchorro Bank about 1400. Chinchorro is the only atoll in Mexico and a natural reserve. The Navy came out and boarded us during sun downers. They were just making sure our paper work was in order and we were not smuggling, I guess. Le Chat Beaute at anchor. Off early the next day, 0200, we used our entrance track through the reef and followed it out. San Pedro Cut through the reef in Belize sounded tricky in the guide book so wanted a high sun entry. Calm day so mostly a motor sail. When we arrived at the waypoint it was not evident where the edges of the reef were. Normally with the trades blowing , waves break on the reef and the opening is easy to spot. NOT TODAY! After a few moments another cruiser anchored inside gave us some additional info and we motored into anchor into 6 feet of crystalline water. Isla Mujeres turned out to be a longer stop than anticipated. My first reaction on going ashore to check into the country was feeling over whelmed because it was full on tourist. Happy to report after a day or two the place grows on you. The people are good natured and relaxed even though they are hustling to make a buck. As always , the paperwork to get into Mexico took most of a day to complete. The refrigeration(110) went haywire on the way from Cuba so that was a problem I needed to sort. Sure glad I installed a Sea Frost 12v unit before I left Florida as a back up. It worked flawlessy on the refrigerator side. The freezer had no back up and it contained pork , chicken, beef and 8 lobster tails. Big eat was underway I can assure you. I monkeyed with the refrigeration system for four days before finally giving in and calling in Virgillio. A true master at refrigeration. I had received gauges and help from other cruisers but was not able to bring the box down. Virgillio hooked up his gauges and five minutes later declared the compressor had a broken piston. He came out the next day with a danfoss exactly like the one that failed and I was up and running in four hours. Total cost including compressor and labor and materials was less than $360. An excellent deal. If in need of help He can be contacted by Marina Paraiso in Isla Mujeres. After traveling West from Habana we stopped twice. Once behind the reef as it was getting too dark to go any farther inside the reef. 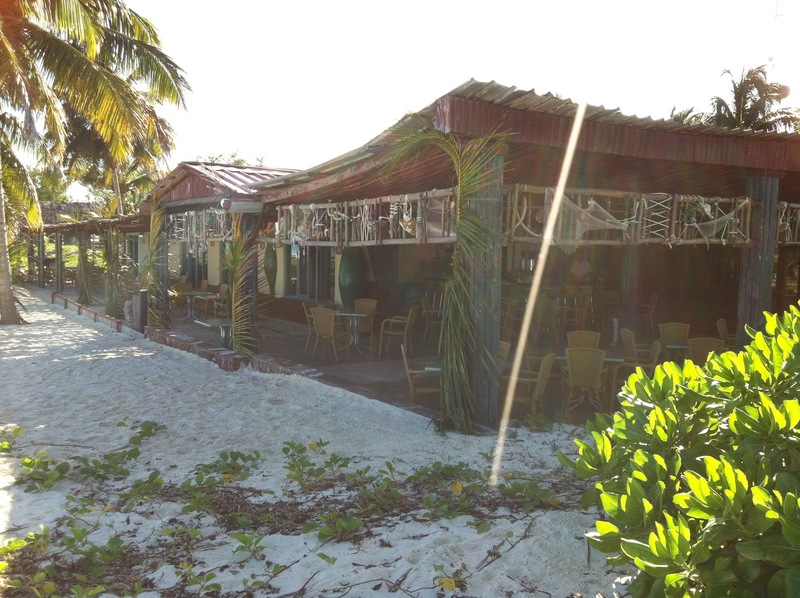 The next morning we motored to Cayo Paraiso ,a haunt made famous by Ernest Hemingway. The next day we worked our way behind the reef to Cayo Levisa. 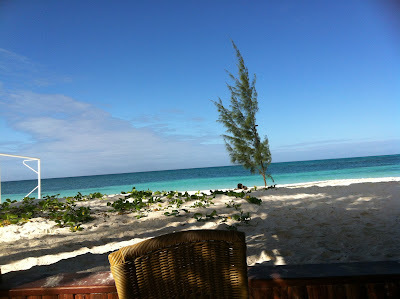 We heard there maybe a hotel on the Cay but were unsure due to the hurricane that came through a couple of years ago. From the anchorage it looked pretty deserted. We went to a dock and were greeted by security who directed us to Guarda Frontera. While I did the paper work shuffle, Alison went to check out the other side of the island. It was a full on resort on a beautiful white sugar sand beach. Christmas Eve dinner was going to happen and we were able to book in for the festivities. A beautiful turkey,pork,fish dinner followed by a salsa show and a magic act. Fantastic evening as it was so unexpected. Nice downwind run. 10 knots of breeze and flat seas.Great sailing! Dinner on board. Lobsters are plentiful along the Northwest Coast. The East end of Cayo Levisa.